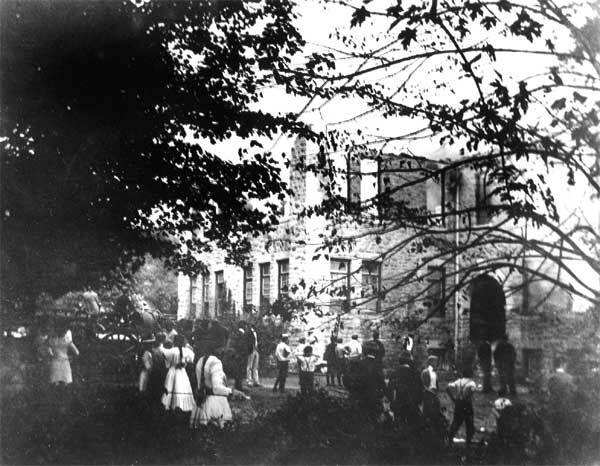 Abstract: Students view ruins of the Ardmore Avenue School in October 1900. Reportedly fire started in a chemistry lab when building was used for all grades from first through high school. School rebuilt c. 1901.